We offer comprehensive rage of Industrial Agitators that having various engineering application. These Industrial Agitators are used in several small scales to large scale industries. We manufacture these Industrial Agitators with supreme grade of raw material ensuring durability, reliability and better tensile strength. 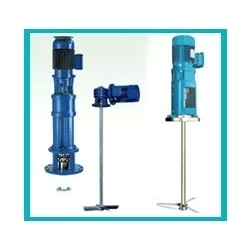 We bring forth for our esteemed customers a comprehensive range of high-grade Chemical Agitator. 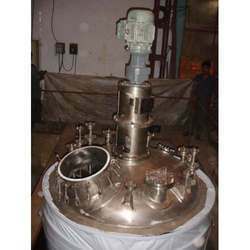 We manufacture an extensive range of Pharmaceutical Agitator, which is widely used for mixing various chemicals. 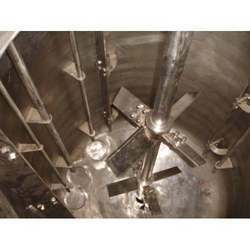 Thermotech specializes in design and manufacture of Mixing Agitator for various applications. Backed with years of experience, we have supplied more than 3000 agitators ranging upto 300 HP. Our engineers have many years of experience in mechanical design and in manufacturing agitators up to 12mtr height and power ranging from 0.25HP to 300HP. Approved by consultants like AKPG, UHDE, MECON, DALAL-MOTS, CHEMPRO, BAX-COUNCIL, SHROFF & ASSOCIATES, ONGC, BARC, TDC and HPCL, the construction of Portable Agitator Mixer has been standardized by our regular customers to a high degree of quality and reliability.